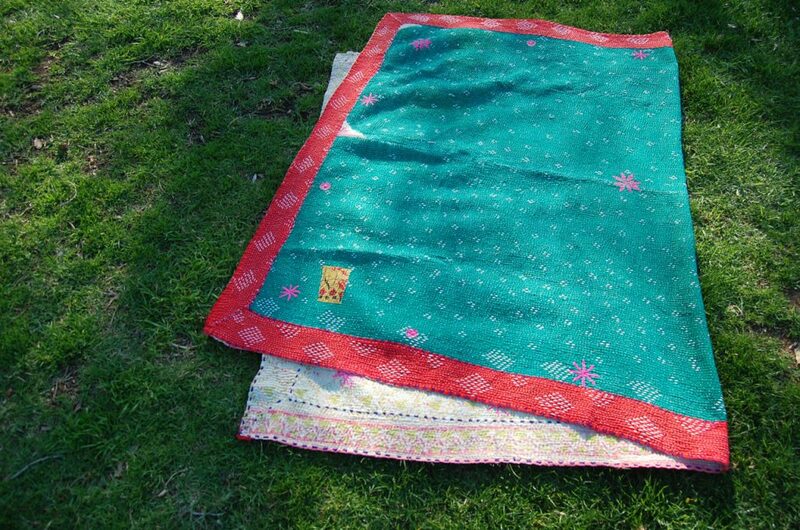 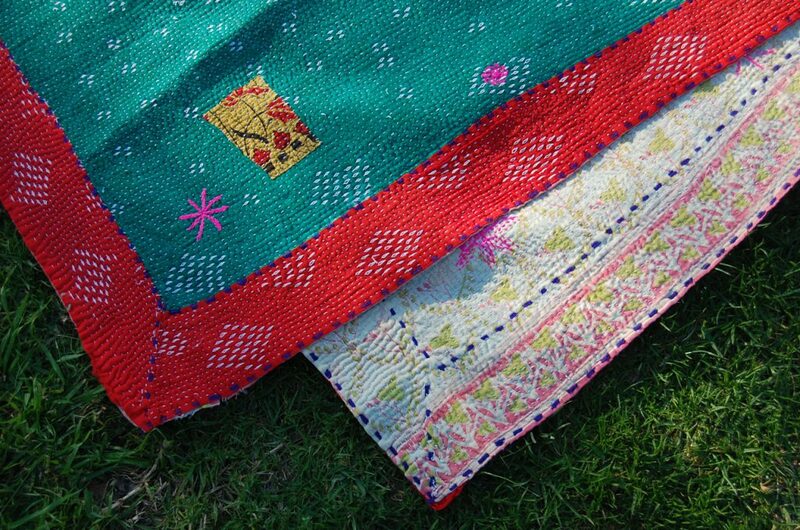 BINDI is a beautiful warm bed throw made from layers of cotton saree and heavily embroidered by hand. 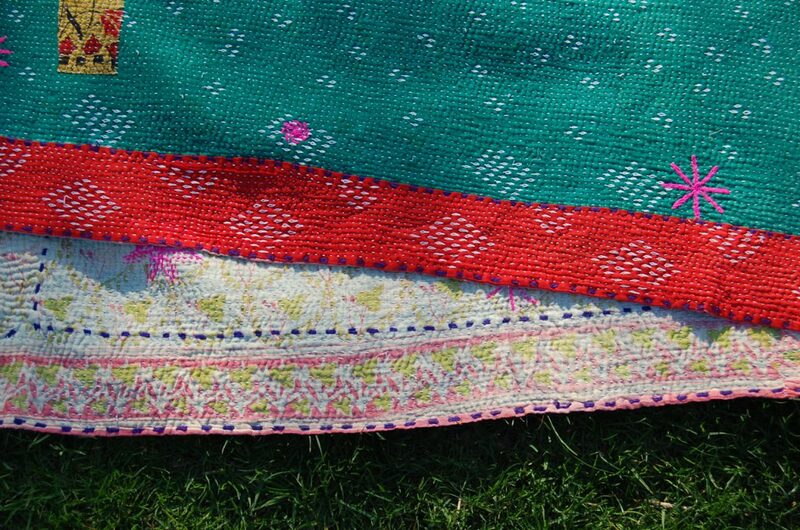 Intricate needlework throughout, with various star elements sewn into the hippie Indian tapestry make this textile truly special. 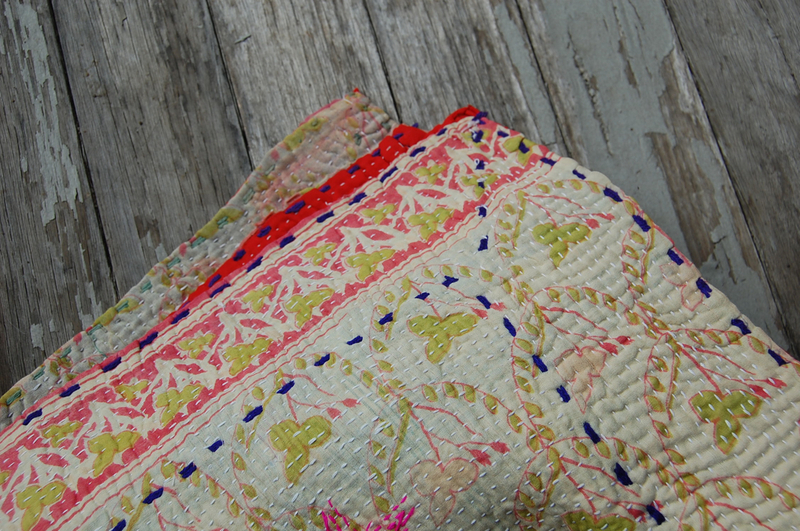 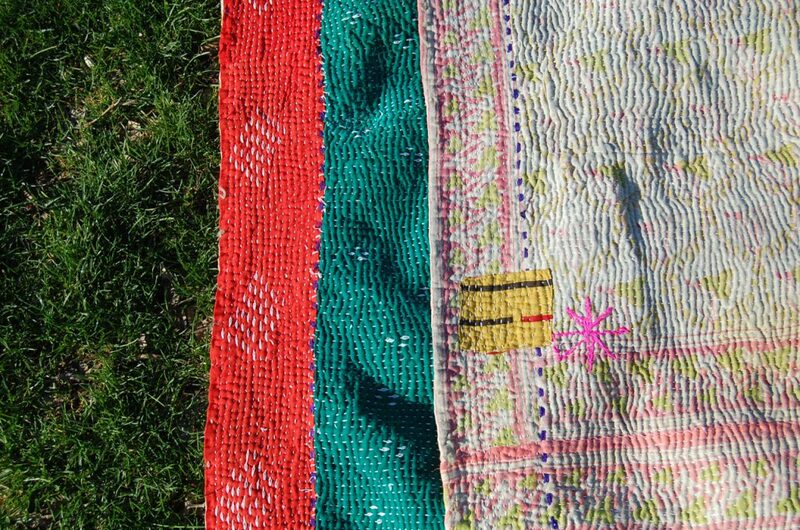 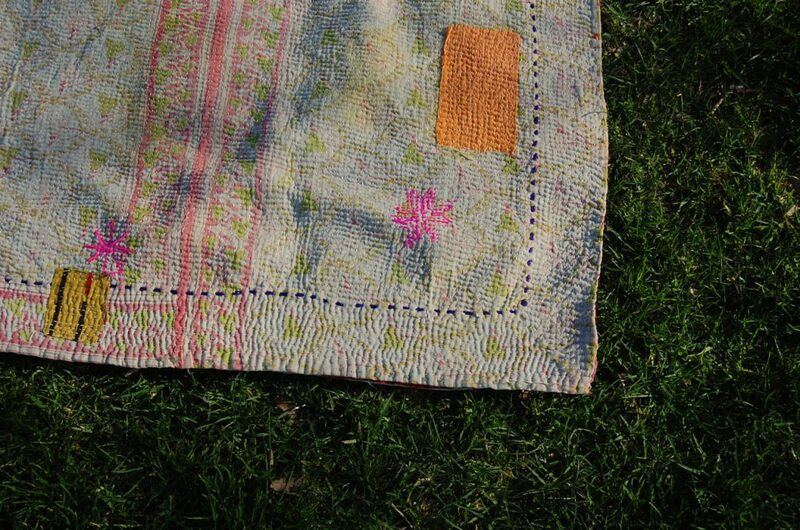 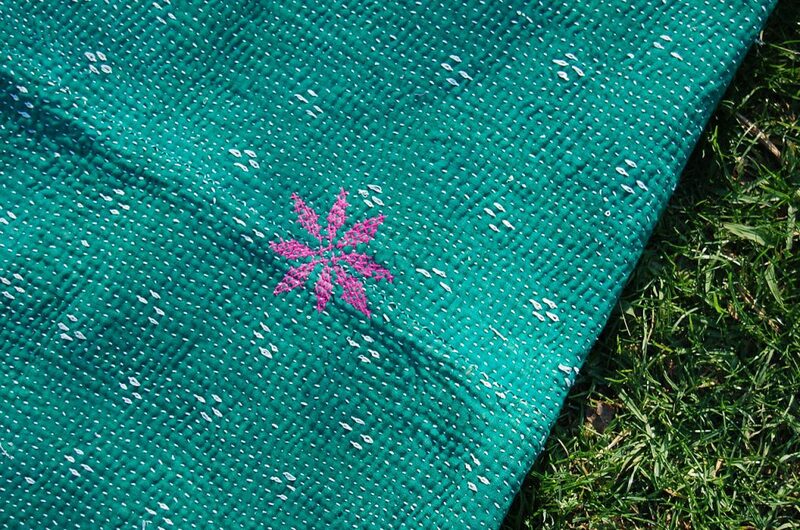 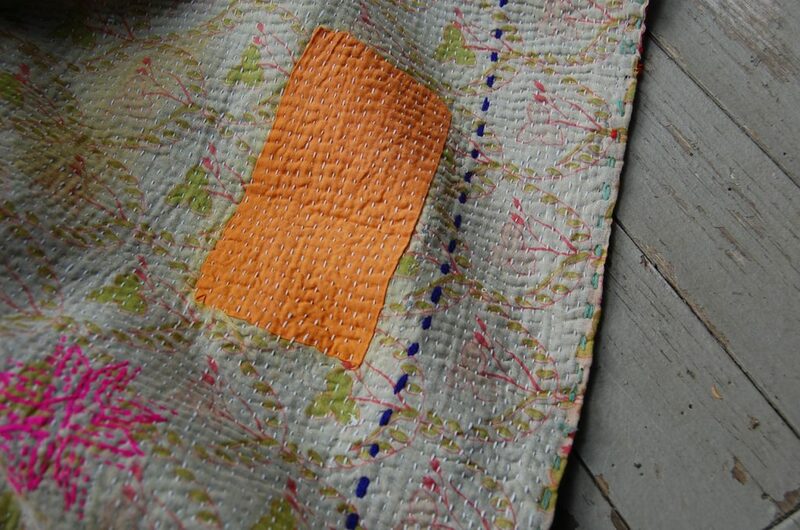 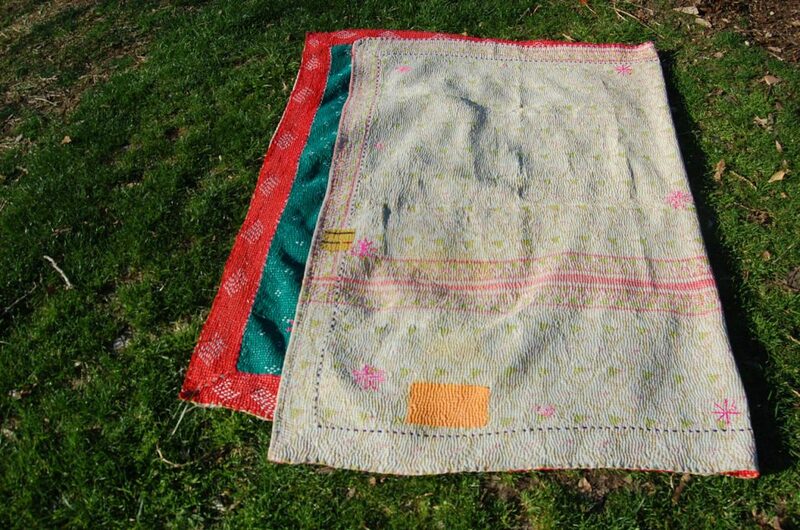 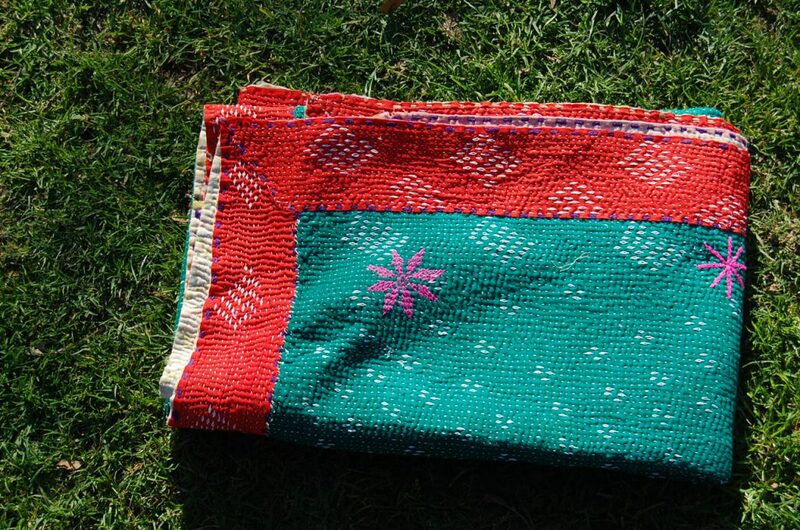 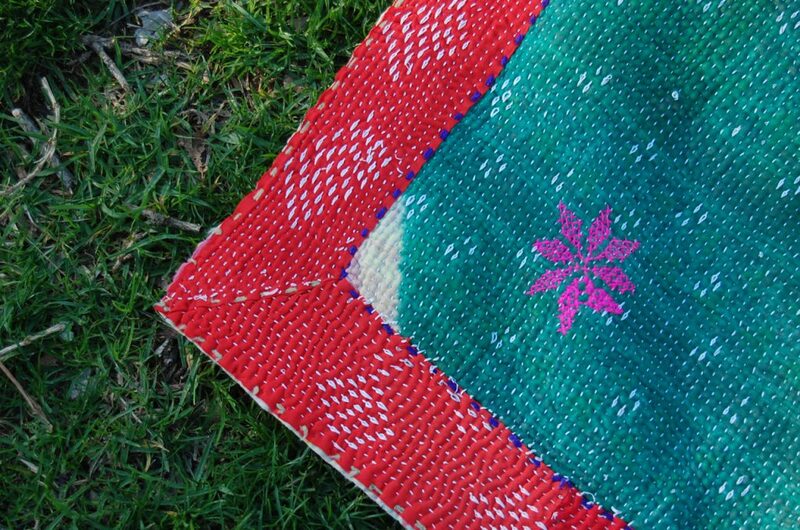 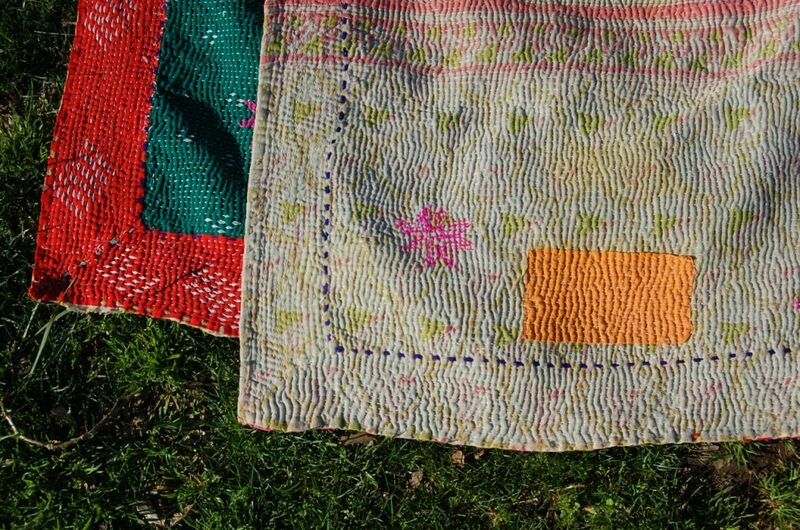 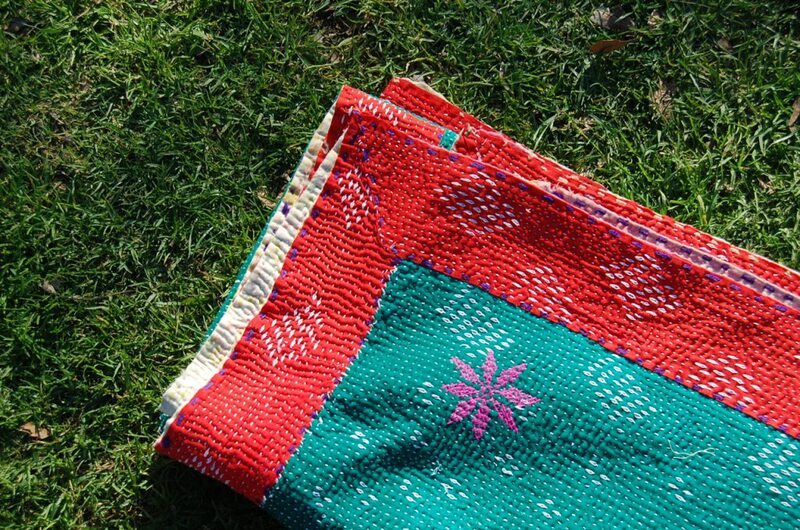 Since kanthas are so versatile, they can be used as rugs as well, and with her thickness she’s perfectly suited to picnic days in the park or patio with piles of cushions.